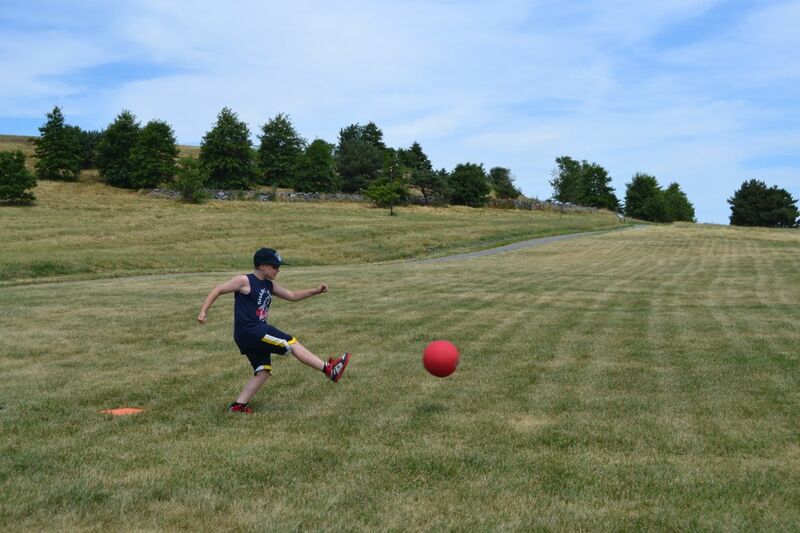 For the first time this summer we had more than enough kids to play kickball. 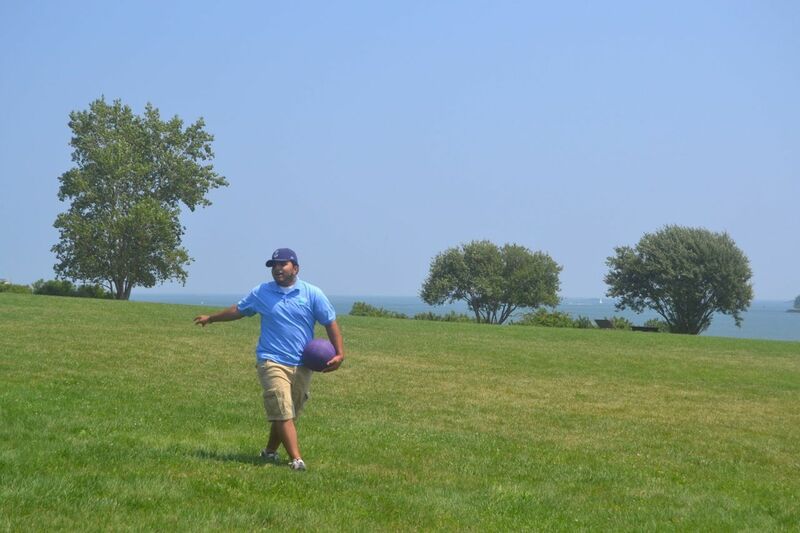 This means that, for the first time at Spectacle Island, we had to divide the kids up between 2 games of kickball. The games do not stop there, however. The game I was overseeing (Blue team vs Orange team) was one of the most intense and competitive games I have seen all summer. The blue team was a club, B.A.S.E which stands for Braintree AfterSchool Entertainment. And the Orange team was a from the Tobin center. So, I don't believe these kids even knew each other, which probably fired up the game and fired up their desires to each win. The kids were having fun but occasionally would try to get into each others heads with comments, such as butterfingers or easy out. It was fun to not just play in this game, but to see it all unfold. The kids tried to show no mercy to the opposing team by just trying to get in as many runs as they could, but it was not easy since both teams had some very good players having good kicks and making good plays. The game never favored any team heavily, it was always a close game and no team was ever up by more than five points I believe. It was entertaining and the game was cut short by half an inning, since the blue team did not get to hit for their final time so the game ended on a score of Orange Team 12 and Blue Team 10. But who knows, if the blue had gotten their last up, the score may have been different.